The best view of Bogota, Columbia is from the Mountain Of Monserrat. A Sunday afternoon in downtown Bogota. The upstairs kitchen at Villanos en Bermudas. Guests are at the bar to enjoy and experience their meal being prepared and to converse with the chefs. 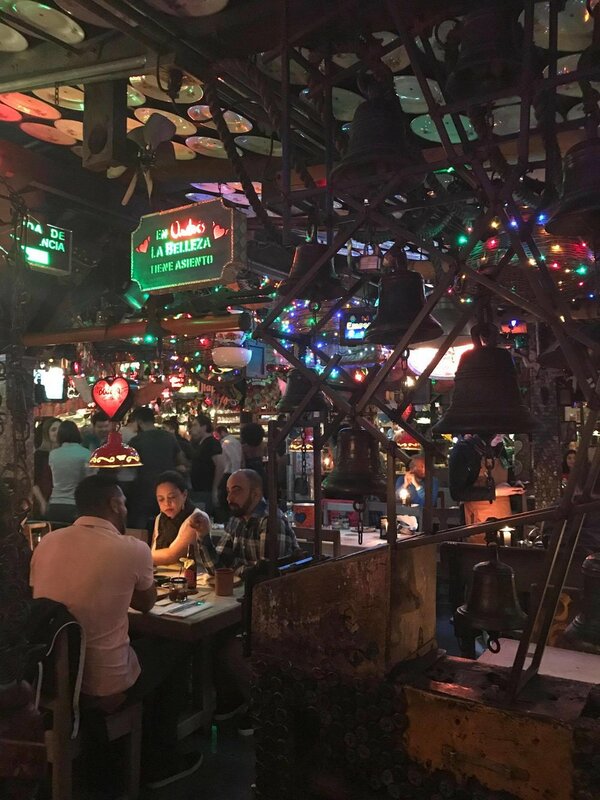 The entire restaurant has multiple open rooms with a variety of decorations made from recycled metal signs, lamps, mirrors and other interesting objects. I enjoyed a Picada Rumbera during my first night in Bogota. One of their featured dishes was a soup with tomatoes that were grown in south Colombia near the border with Ecuador. I fell in love with the décor of Villanos en Bermudas. The living areas were simple and elegant, while the restrooms were eccentric, filled with mirrors and lights. On my most recent trip, I traveled to Colombia, a South American country located in the northwestern part of the continent. I was curious to learn more about their people, culture, famous coffee, and more than anything, their cuisine. Just this year, four Colombian restaurants, Leo, Criterion, Harry Sasson, and Andres Carne de Res (Chia), won a spot on the famous Latin American’s 50 Best Restaurants 2017. Leonor Espinosa, the owner and chef of Leo won the prestigious and international Basque Culinary World Prize 2017, a prize dedicated to distinguish innovative chefs who transform the way we eat through health, social development, education, ecosystems and who make an overall positive change in gastronomy. I also visited restaurants that left me with an incredible experience because of their service, taste and local ingredients. Here are some restaurants that I would add to my own personal 50 Best Around The World. I first visited Bogota, the capital of Colombia. My first 50 Best experience in this country was Andres Carne de Res. The locals, known as “Rolos” (for the way they roll or sing their words), say if you don't visit Andres you’ll miss out knowing the real Bogota. Andres Carne de Res was both a fantastic and unique experience. The restaurant is huge, filled with different open rooms adorned with metal cutouts, signs, and lamps as decorations. I was excited to see a dance floor where people from different parts of the world were dancing to 80s and 90s music. Although it landed a spot on the 50 Best, I was surprised at how delicious the food tasted despite being filled with tourists. The most popular dishes where “Picadas”: a feast of different types of meat, from pork, chicken and morcilla, their famous blood sausage. I had the pleasure of visiting number twenty-nine on the list of Latin America's 50 Best Restaurants: Criterion. The restaurant had the perfect combination of French cuisine with Colombian influences. It was comfort food at its finest along with great customer service. I was told by the maître'd that the tasting menu was a must, especially on your first visit here. It was one of the best tasting menus I have ever had. 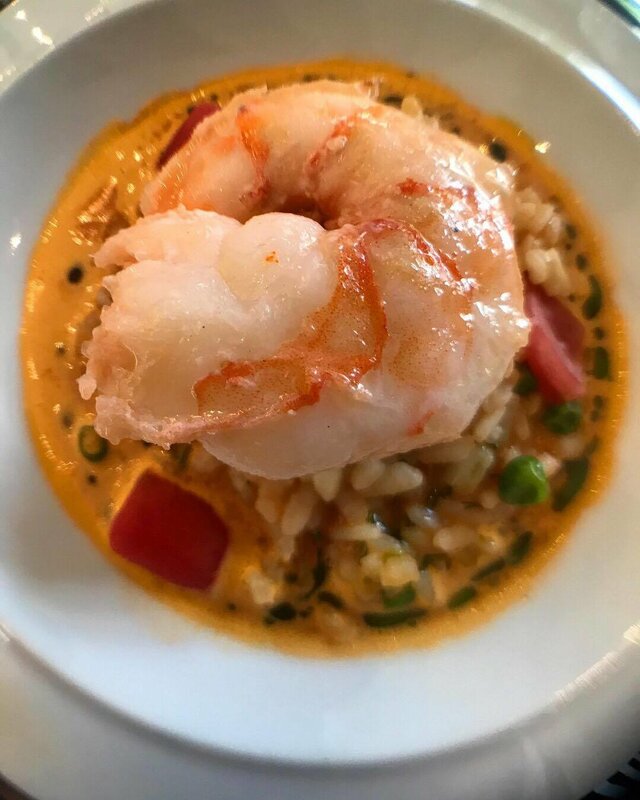 You can tell the chefs, the Rousch brothers, spend a lot of time creating these wonderful dishes. Each plate was beautifully decorated with both international and national ingredients. Every single dish surprised me, from their taste to their impeccable presentation. 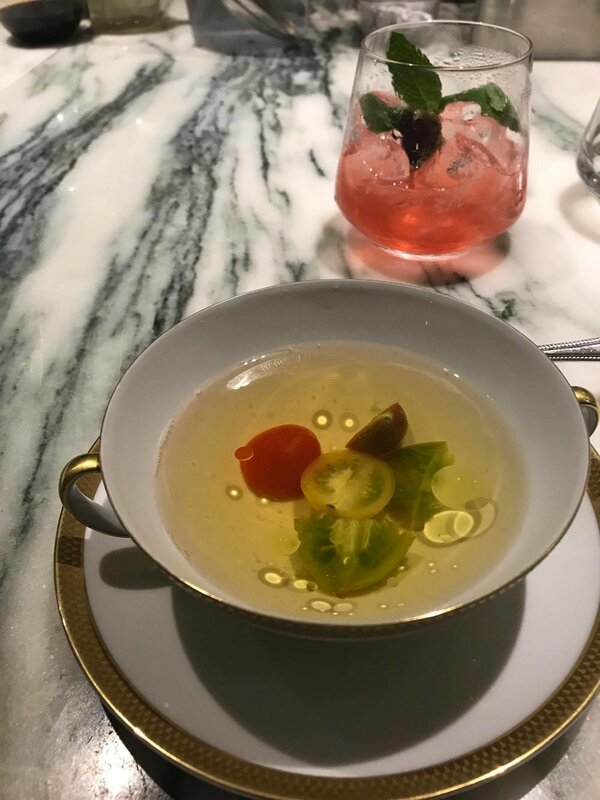 Although the décor of the restaurant was both elegant and chic, the atmosphere was comfortable and the servers made the experience enjoyable and not too formal. Although not on the official list of 50 Best, Villanos en Bermudas, also located in Bogota, was one of my favorite gastronomic experiences so far from all my travels. It was a completely unique experience from the beginning. I arrived at what Google maps said was the location, only to feel somewhat lost in front of what looked like a house. I finally noticed the sign Villanos en Bermudas and noticed I had to ring the bell. A man opened the door and introduced himself as Jorge the bartender. He showed me around the beautiful restaurant and explained that it was a converted house. He then took me to the dining room where I met the host and two sous chefs. It felt as if I was in a house or private party. The sous chefs were right in front of me, preparing, cooking, and explaining what I was about to eat. This was no Andres Carne de Res, although I had an amazing time there too. This place was totally different. It was a more personal and educational experience; you could tell the chefs wanted you to learn more about the country’s ingredients, people, and culture through their food. I was extremely surprised to learn that both chefs and owners of the restaurant were not from Colombia. One of the chefs was from Mexico and the other was from Argentina. Just as they learned about Colombian cuisine, culture and ingredients, they wanted the guests to do the same and learn about this wonderful country.